These are the same leaders Obama is pressuring the Egyptian government to release. A memo posted on the Facebook page of a local office of the Muslim Brotherhood’s Freedom and Justice Party obtained by the Investigative Project on Terrorism shows a clear call to incitement against Egypt’s Coptic Christian population, giving its blessing to the burning of churches. 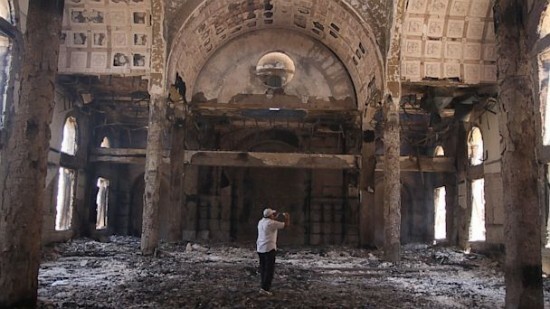 Muslim Brotherhood rioters who torched St. George Cathdral in Sohag were heard screaming “Allahu Akbar!” as they carried out their deed. Coptic leaders say the Muslim Brotherhood’s violent onslaught against Christians has been unprecedented. “The Pope of the Church (Coptic Pope Tawadros II) took part in the ouster of the first elected Islamist president. The Pope of the Church charges Islamic Sharia with underdevelopment [and] stagnation,” the memo from the Freedom and Justice Party’s branch in Egypt’s Helwan Governorate, near Cairo, said amid other accusations. “After all of this do people wonder why they burn churches? Burning houses of worship is a crime.